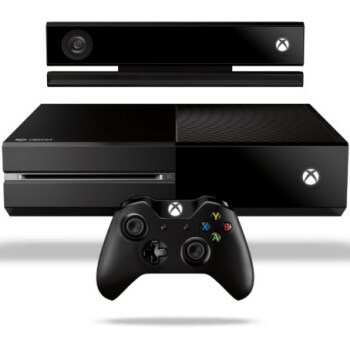 Microsoft sources say the Xbox One is designed to be turned on, and left on, for ten solid years. The Red Ring of Death: It's like the Black Plague of the modern era, except that nobody died and Microsoft was pretty generous with its warranty support. So really, it wasn't anything like the Black Plague at all. But it was definitely a hassle for 360 owners and a black eye for Microsoft, and so it is that the company is being a little more careful with its next-gen release. The actual dimensions of the Xbox One haven't been announced but according to Eurogamer it will be "noticeably larger" than the launch version of the Xbox 360. The reason for that big footprint is simple: Microsoft is determined to avoid a repeat of the Red Ring fiasco, and so it's designed the system with a focus on heat dissipation. A "highly-placed source" said the Xbox One is intended to have a ten-year life cycle, switched on the entire time. Despite putting a priority on cooling, it's also reportedly very quiet, and is "entirely silent" in idle and low-activity states. The fan only kicks in at an audible level when the CPU is under strain, which generally happens only during gaming sessions, and because of its large size it can spin relatively slowly while still providing effective cooling. The optical drive will also be idle during gaming, reducing the noise factor and heat generation even further.